The Nike Air Zoom Pegasus 35 Premium is built for runners at every level, whether you’re a seasoned veteran or just starting out. It features a breathable mesh upper with an out-turned collar for Achilles comfort. Down below, the cushioning combines full-length Zoom Air and a soft foam that's been tuned for female runners for the first time ever. This premium version has special design details, including a small Swoosh, leather tongue and wax laces with metal aglets. The Nike Air Zoom Pegasus 35 Premium is built for runners at every level, whether you’re a seasoned veteran or just starting out. It features a breathable mesh upper with an out-turned collar for Achilles comfort. Down below, the cushioning combines full-length Zoom Air and a soft foam that&apos;s been tuned for female runners for the first time ever. This premium version has special design details, including a small Swoosh, leather tongue and wax laces with metal aglets. 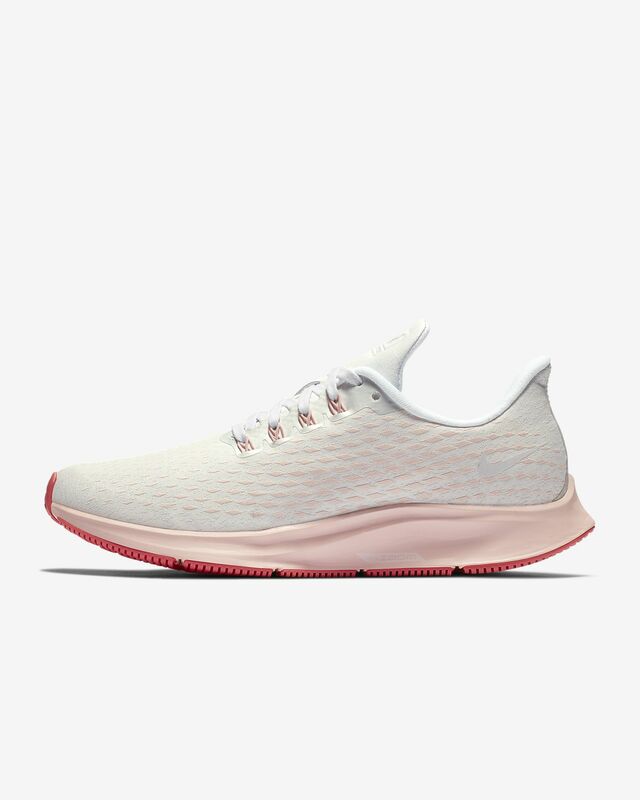 Zoom Air cushioning delivers a springy, responsive feel. It absorbs the impact of your foot as it lands and turns it into energy for your next stride. 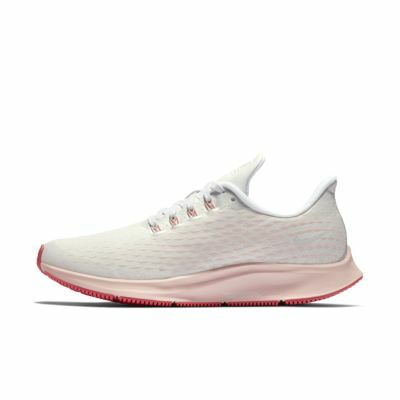 It runs the entire length of your foot, so you get a smoother, more natural transition from heel to toe, and it&apos;s housed in premium Cushlon foam that&apos;s been optimized for female runners. Very Comfortable. Just right amount of cushion. Order half size up. This the second pair I've ordered. The material is durable and will hold up in any kind of weather. With that being said, the material is somewhat thick so I would order a half size up. The shoe has great arch support and helps with my plantar fasciitis. These are the worst Nike shoes that I have ever bought. I wish that I hadn't waited 30 days to realize how much I hate them so I could return them and never think about them again. They are SO uncomfortable. The "leather" tongue looks cheap and can't stay in place so I end up being pinched by the tongue and the laces. These feel like a worse version of the pegasus and not a "premium" version.